A few weeks ago I was browsing the stationary section at Target, don’t pretend you don’t do the exact same thing, and happened upon the new display for Yoobi. It’s a nifty brand that donates a pack of what you bought to a school in need. Cool. I picked up a few notebooks and a pack of pencils. I selected the mixed color 24-pack and received bright magenta, purple, blue and yellow green pencils that perfectly match their notebooks, journals, pens, highlighters, glue sticks, and other desk items. 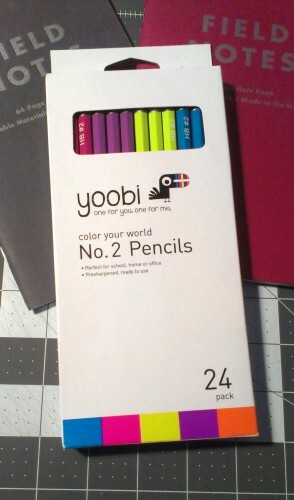 They are very brightly colored, which I like a lot. 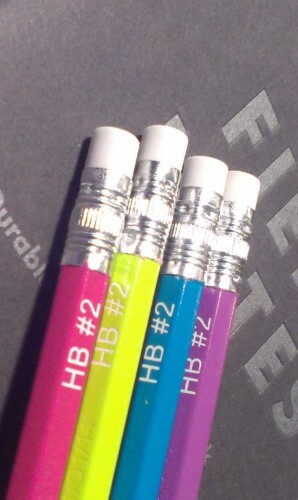 The pencils are standard #2 HB graphite cores. The core is well centered and whatever wood it is made of, sharpens well in all my sharpeners, from the KUM Ellipse, Long Point and wedge. Easy as could be. The core is nice and dark for an HB and is good for writing. 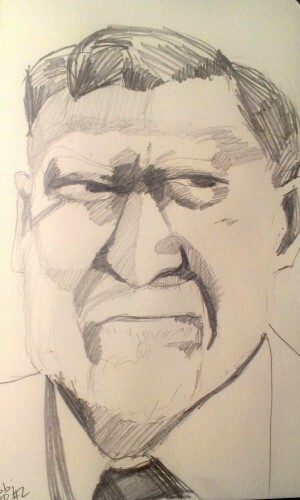 it does okay for basic sketching but for anything resembling deep dark shadows a 4B or 6B pencil will need to be used. Point retention is decent but with pencils this cheap you can have a dozen sharp and ready to go without being worried about cost. 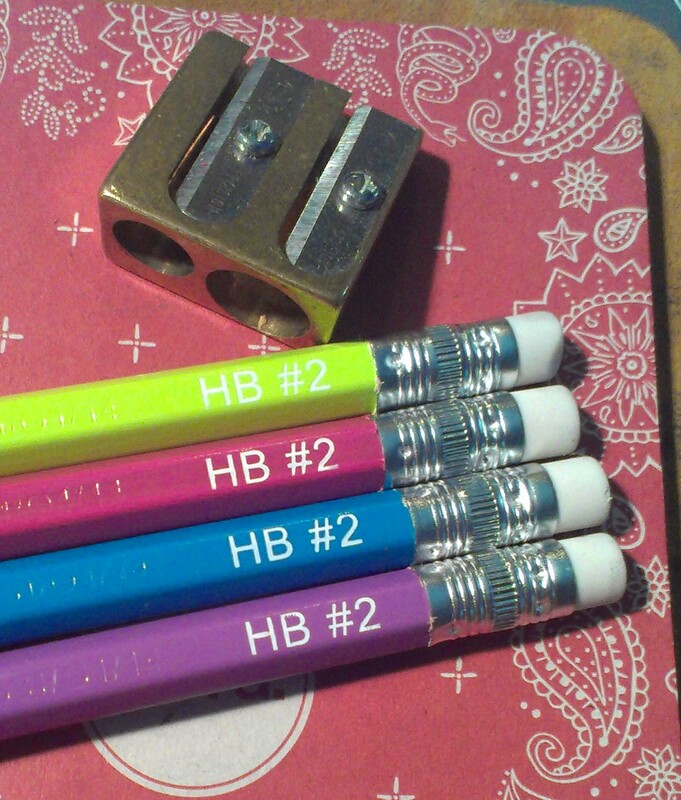 Written journalers will be happy with these pencils. Speaking of price, a 24-pack was a mere $2.29! They give a package to a school in need so it becomes an even better deal. 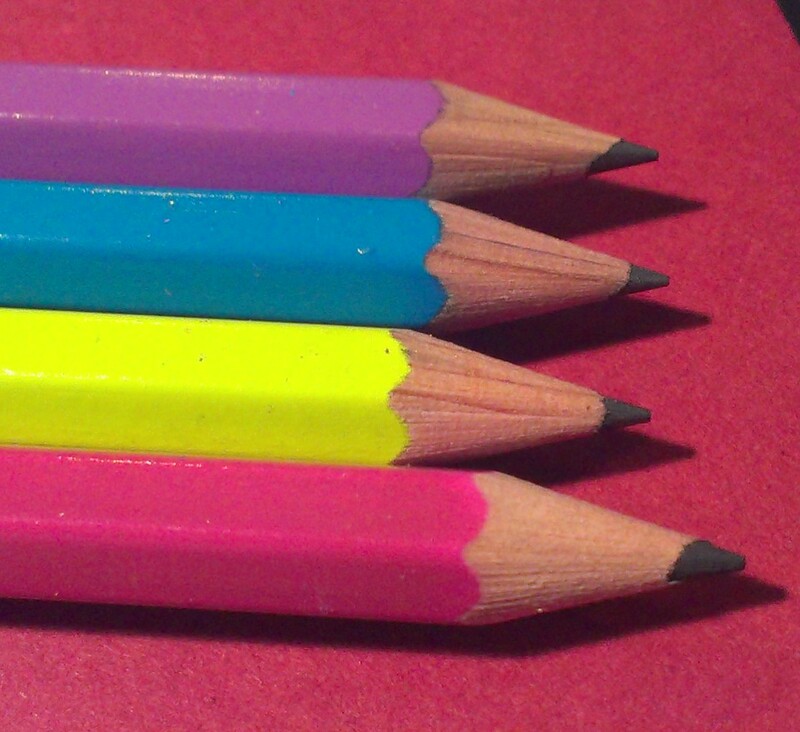 The fact that these pencils are super brightly colored and give to charity is great thing. They also coordinate with their notebooks really well. Even if you aren’t using a matching color, all of the colors work really well together. 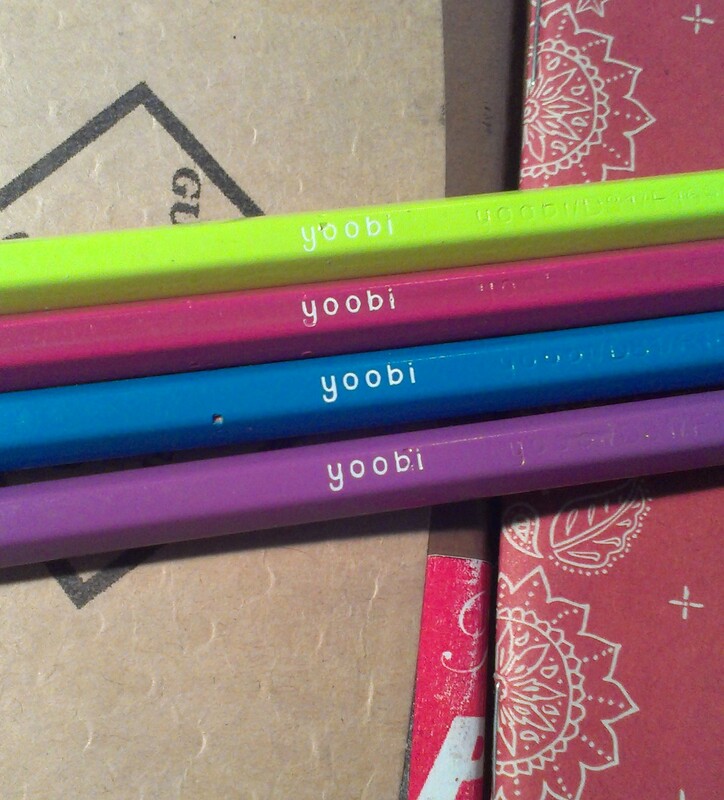 This entry was posted in Review, Uncategorized and tagged back to school, bright, colors, pencil, yoobi on 20140814 by leslie.